Nicolás Tagliafico was declared the best player in the Premier League of the month of November on Thursday. The defender of Ajax performed statistically best of all players last month. Tagliafico is the successor of his teammate Hakim Ziyech, who was the best player in the Eredivisie in October. Another Ajax player, Noussair Mazraoui was voted the biggest talent in the past month. Ajax won in the last four rounds of Willem II (2-0), Excelsior (1-7), NAC Breda (0-3) and ADO Den Haag (5-1). In the first three matches, the Argentinian leftback gave an assist and against ADO he scored once. 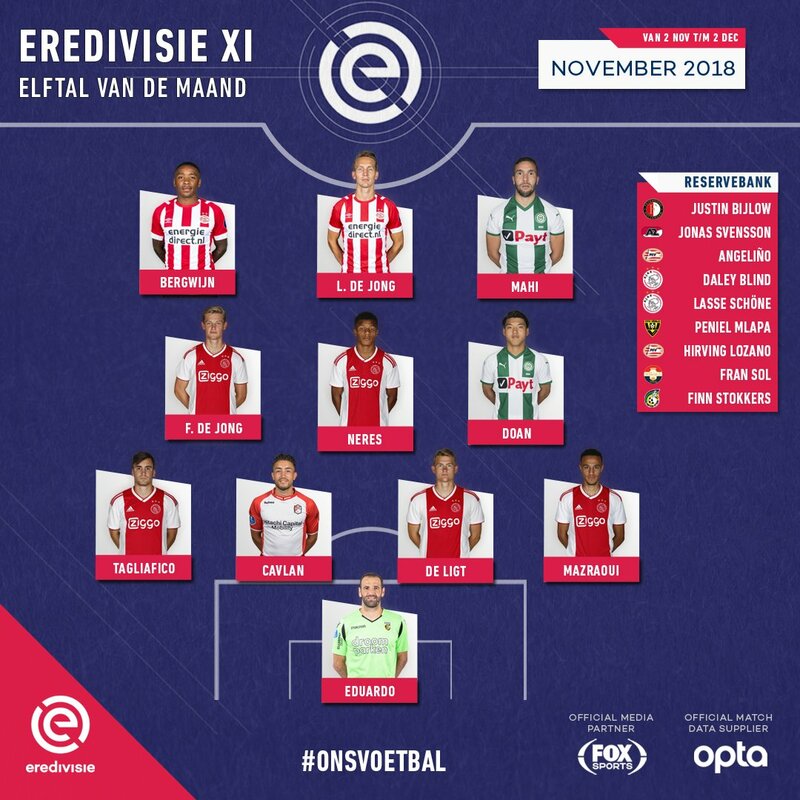 The Ajax players Matthijs de Ligt, Frenkie de Jong and David Neres are also in the team of the month. Concurrent PSV is Luuk de Jong and Steven Bergwijn two players in the star team, which is completed by Vitesse goalkeeper Eduardo, FC Emmen-defender Caner Cavlan and FC Groningen-duo Ritsu Doan and Mimoun Mahi. The election for Player of the Month was initiated early this season by the Eredivisie CV, which awards the prize together with FOX Sports and statistics agency Opta Sports. Opta provides the statistics on the basis of which a choice is made. In August Robin van Persie became the first player of the month in the Eredivisie. A month ago Heracles Almelo striker Kristoffer Peterson won the honor.